This second attempt to have a look at the topic of Emerging Church is based largely on the Thinking Mission forum held under the auspices of Global Connections in February of this year. The title of the forum was Baby or Bathwater: Must We Ditch Traditional Church Structures to Do Mission Well? and you can see more details, including some of the articles published here and the discussion that followed the talks, on the Global Connections website. The title suggests that there is some fear in Christian circles that by throwing over ‘institutional church’, church itself will somehow get lost. I was interested to note that Jonny Baker, who writes here about the situation in Britain, does not think that this is likely to be the case – but you can read for yourself. The other two main articles have to do with the fact that something akin to emerging church has appeared in non-Western contexts. 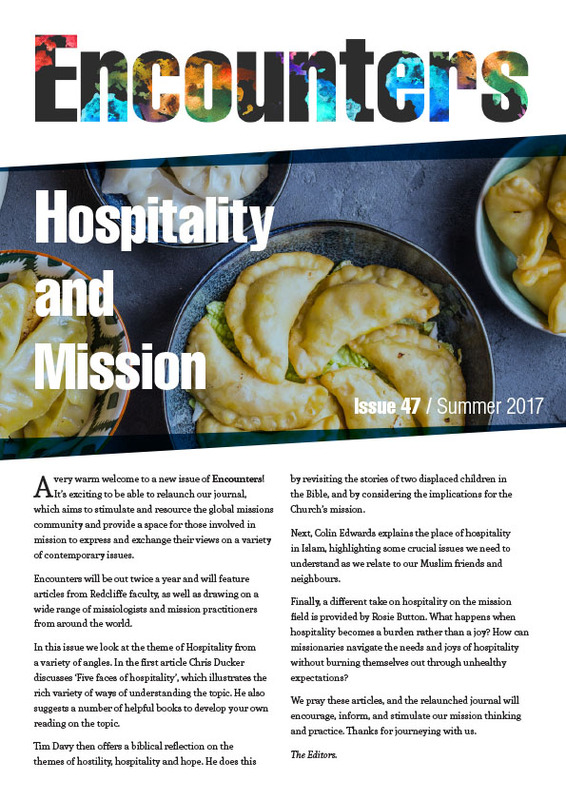 Paul Davies looks at the Base Ecclesial Communities in Latin America and their sometimes tense relationship with Mother Church, and Ida Glaser at the emergence of Muslim Background Believer communities in Bangladesh. Again the whole question of the relationship between the emerging churches and the already established ‘institutional’ church is one of the contentious issues. In the case of Bangladesh there is a fascinating cultural context which further complicates matters. I add a sort of postscript of my own – it is written in a British context but might apply anywhere – pondering whether the problem is not so much theological as sociological. Perhaps the institutional church is often structurally too heavy, and therefore simply too demanding, for people with busy life-styles. For the purpose of this edition of Encounters (as against the Thinking Mission forum) my piece takes the place of a contribution by Nick Mercer. Nick was making out a case for the ‘traditional’ High Church community as a place where people might find a home in our present ecclesiastical climate. He does commend a book by Bishop Stephen Cottrell’s, ‘From the Abundance of the Heart: Catholic Evangelism for all Christians’ (DLT, 2006) as a good introduction to the same point. Finally, we also have a couple of interesting book reviews. I do commend this issue to you. Baby or Bathwater? Must we ditch traditional church structures to do mission well? – A perspective from the Emerging Church in the UK. “Ecclesiogenesis”: Base ecclesial communities in contemporary perspective. The emergence of Muslim Background Believer communities in Bangladesh. Maintenance Exhaustion: A postscript to the debate on emerging church. Book Review 1: The Soul of Mission: Perspectives on Christian Leadership, Spirituality and Mission in East Asia. Book Review 2: Dictionary of Mission Theology: Evangelical Foundations. Issue 23: Single Document Version (in full).